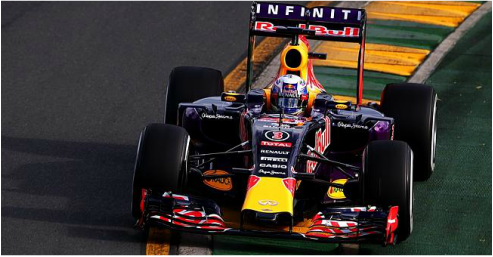 GRANDE,SPETTACOLARE E INTENSO INIZIO PER LA F1 NOS LEAGUE NEL ROUND 1 DEL CAMPIONATO UFFICIALE F12015-16 A MELBOURNE PER IL GRAN PREMIO D'AUSTRALIA. SI INIZIA CON I BOTTI SOTTO OGNI PUNTO DI VISTA. CON POLE E VITTORIA SI AGGIUDICA LA GARA _LOST, AUTORE DI UNA GRANDISSIMA GARA COSTANTE, INTELLIGENTE E SANGUIGNA CHE SU REDBULL VINCE LA GARA INAUGURALE ALL'ESORDIO IN F1 NOS LEAGUE. SECONDA PIAZZA PER _MARK- SU WILLIAMS AUTORE DI CONTATTI ALL'ULTIMO ''SANGUE'' CON _LOST E _RAMBO ( POI RITIRATOSI A FINE GARA MENTRE LOTTAVA PER LA TESTA) ARRIVATO POI OTTAVO. TERZA POSIZIONE E GRANDE PODIO CONQUISTATO DA _BINOX SU WILLIAMS CHE HA LA MEGLIO ALL'ULTIMA CURVA SUL RETTILINEO FINALE DI _HULK27, ARRIVATO POI QUARTO SU MERCEDES, AUTORI DI UNA BELLISSIMA LOTTA. BUONISSIMA GARA PER _PEPSI SU MCLAREN HONDA, NELLE POSIZIONI DI TESTA PER META' GARA PER POI AVERE UNA LEGGERA FLESSIONE NEGATIVA NELLA SECONDA PARTE DI GARA, MA QUINDI UGUALMENTE QUINTO. SESTA E SETTIMA POSIZIONE PER LA TORO ROSSO DI _RIVER86 E LA FERRARI DI _ADVANCE. RITIRATI COME DETTO PRIMA _RAMBO SU MCLAREN, _TIZIO SU SAUBER CAUSA DISCONNESSIONE, COSI COME _KIMI7 SU REDBULL E _LAMELA SU TORO ROSSO. PROBLEMI DI CONNESSIONE ALLA STANZA NEL PRE-GARA PER _BOSS_ CHE NON HA PRESO PARTE AL GRAN PREMIO.